On Saturday 28 February 2015, Ballarat Regional Soccer Facility was officially opened by Ballarat MP Catherine King, Des Hudson the Chairman of the Ballarat Regional Soccer Facility and Senator Michael Ronaldson. Close to 40 people attended the ceremony at Morshead Park, which saw the ribbon cut by Ballarat City Mayor John Philips and Federal Senator Michael Ronaldson. 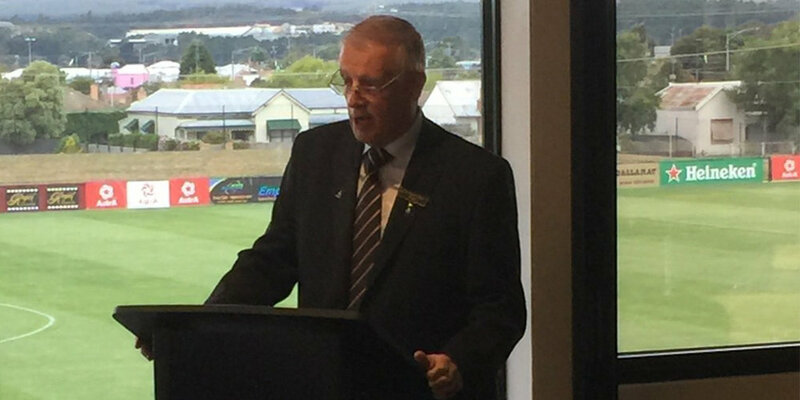 BRSF Advisory Committee Chairman and Ballarat City Councillor Des Hudson said ‘the facility had placed Ballarat on the world soccer stage’. k20 Architecture is proud to be involved with the project as the Principal Consultant and Architect, and in helping to deliver healthy and active communities by designing a high quality, accessible and sustainable community sport and recreation stadium.